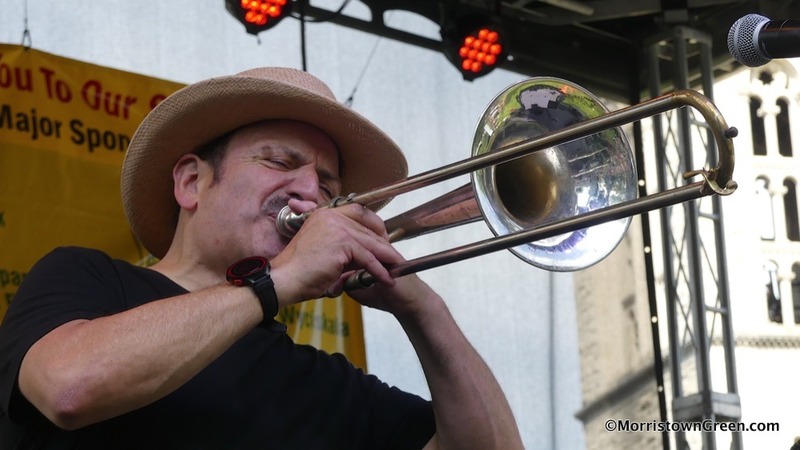 Richie “LaBamba” Rosenberg and his Hubcaps looked right at home Saturday at the 8th annual Morristown Jazz & Blues Festival. And why not? LaBamba, a regular in Conan O’Brien’s band, used to live up the street in Mendham. And he gigged at Argyles and other now-defunct Morristown haunts with Southside Johnny back in the day. Rosenberg, trumpeter Mark Pender, saxophonist Tim Cappello and the rest of the Hubcaps were so hot that the heavens finally opened up, just to make sure the Morristown Green did not spontaneously combust.